Ghatu Subhash conducts multidisciplinary research at the intersection of solid mechanics, materials science, and biomechanics. His focus is to develop novel materials and investigate their deformation and fracture behavior under extreme environments (e.g., high velocity, high pressure, and high temperature). Subhash’s research has resulted in invention disclosures and provisional patents for a novel method for rapid testing of flexible package sealing, impact absorbing cushions for preventing head injury, rapid processing of UO2 fuels, and development of ultra-hard boron carbide which has numerous applications as armor, hard abrasive, and thermoelectric. Commercialization of this technology in the food industry will revolutionize the flexible package (containing liquids, juices, snacks, perfumes, medical supplies, food, etc.) leak-testing method. Subhash has also proposed novel helmet designs to mitigate injuries due to different types of impacts and collisions. Subhash has received funding to conduct research on ultra-high strength armor ceramics, transparent armor, composites, gels, brain tissue, high performance bearing materials, and nuclear fuel materials. He has initiated a new research area on characterization of shock-induced response of brain tissue, which is relevant to modeling mild traumatic brain injury (TBI) in soldiers. He also initiated new research on novel processing of nuclear fuels and secured grants from the Department of Energy Nuclear Energy University Programs. 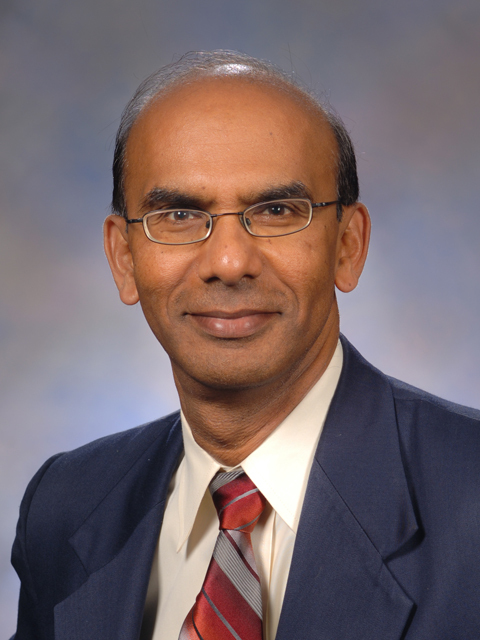 Subhash has worked on development of accident tolerant high-thermal conductivity nuclear fuels. Subhash’s future research will continue to focus on the development of novel materials, processes, and innovative technologies that will have lasting scientific and societal impact. The scientific focus is to develop better materials for applications in extreme environments. Concurrently, he will strive to innovate novel technologies that will have immediate commercialization potential in various fields of engineering and science.